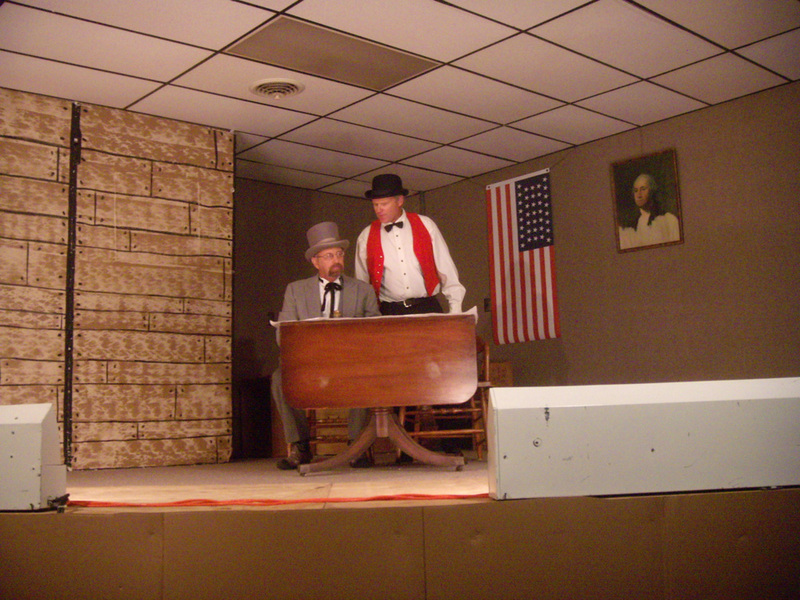 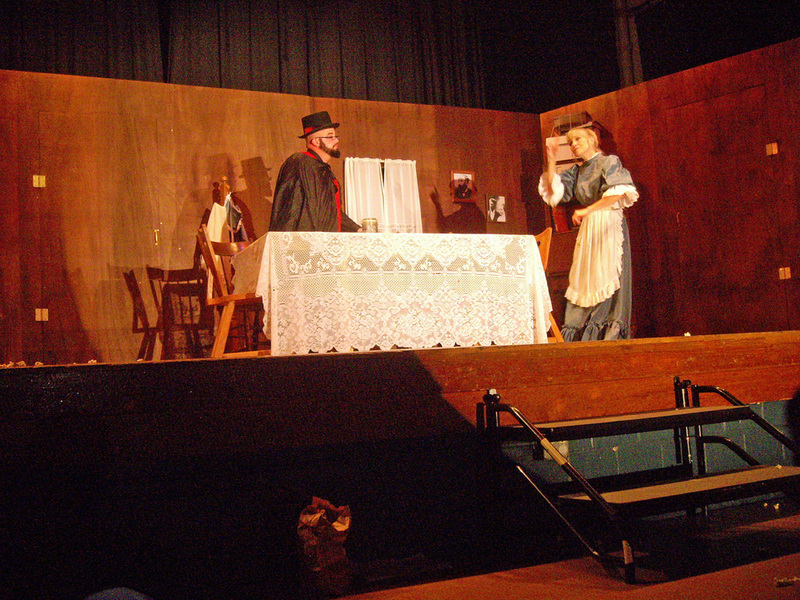 On July 23, 2011 a premier performance of "A Schemer Comes to Beemer", a historical melodrama written by John Burkhart expressly for the Q125 Celebration of Beemer, Nebraska was presented in the Beemer Ball. 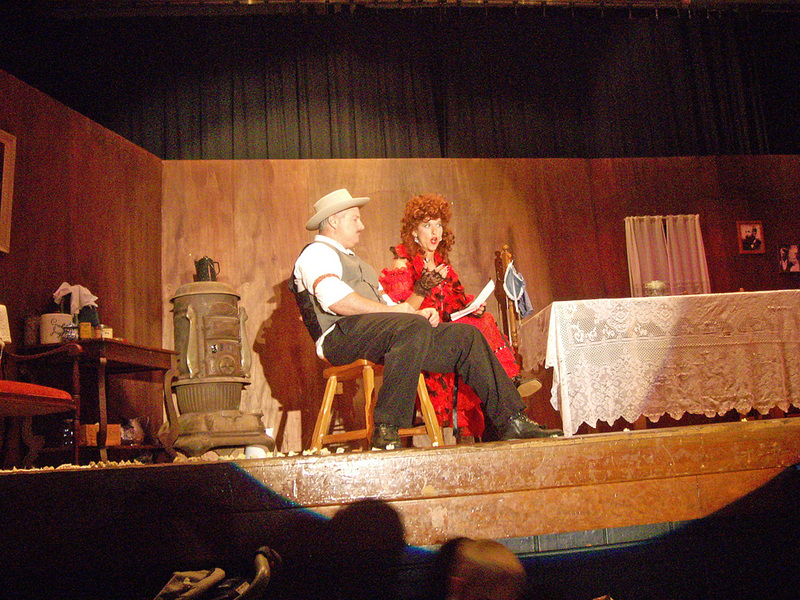 Pictured, left to right: Carsten Brandt (Shane Combs), John Reike (Roy Liermann), Barbara (Bubbles) O'Leary (Tanya Oligmueller), Dan Murray (Gene Ehrisman), Belle Beemer (Beth Ann Feller), Allen Beemer (Kent Aurich), Gus Gumshoe (Bill McNamara),Amy Meddler (Jill Russman). 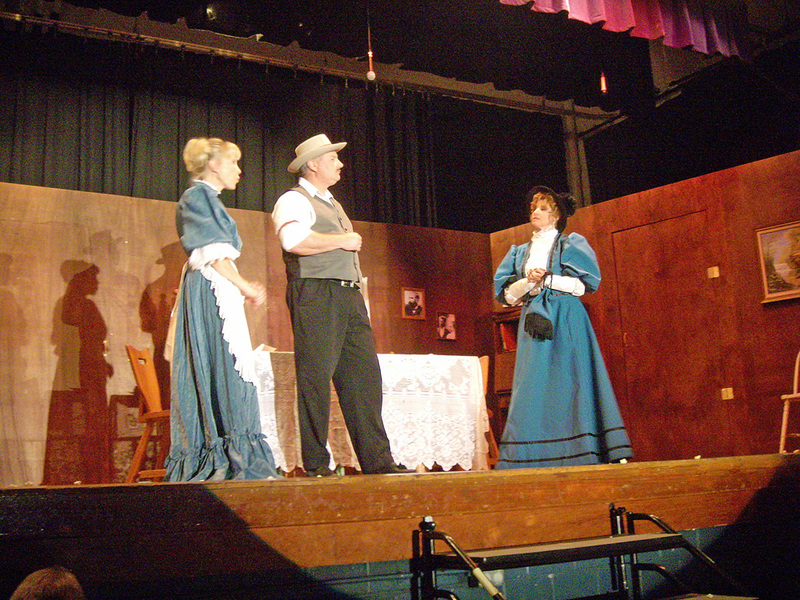 Shyster T. Craven (Bill Drake). 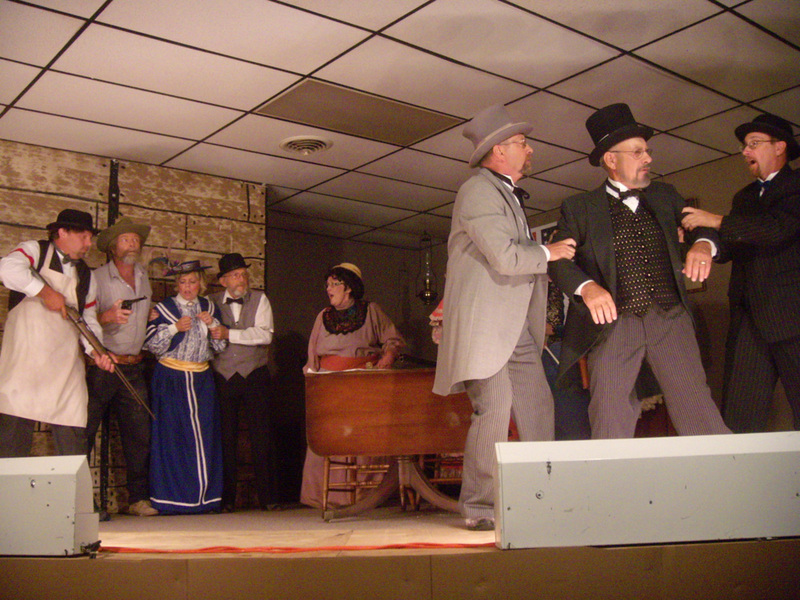 Pictured, left to right: Allen Beemer, (Kent Aurich), George Canfield (David Hasenkamp). 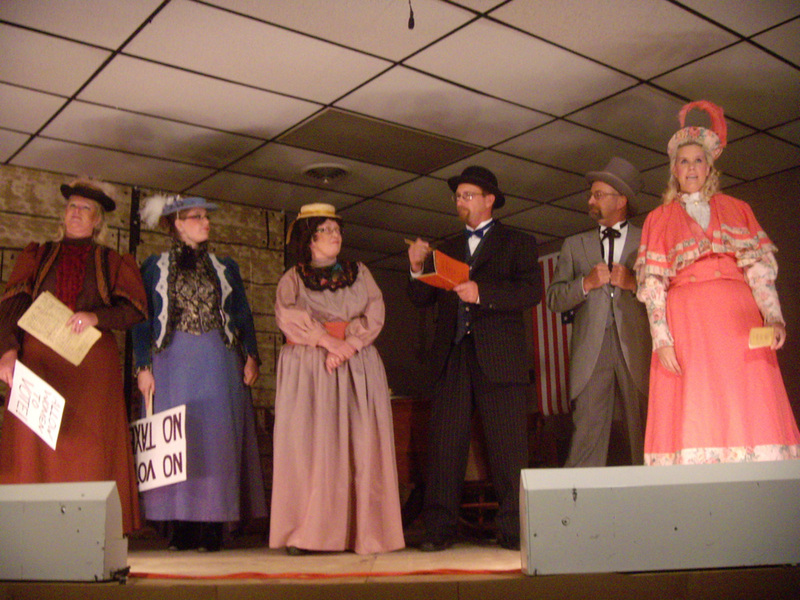 Pictured, left to right: Prudence Pollpower (Lynn Crawford), Penelope Pollpower (Sherri Harrington), Belle Beemer (Beth Ann Feller), Gus Gumshoe (Bill McNamara), Allen Beemer (Kent Aurich), Amy Meddler (Jill Russman). 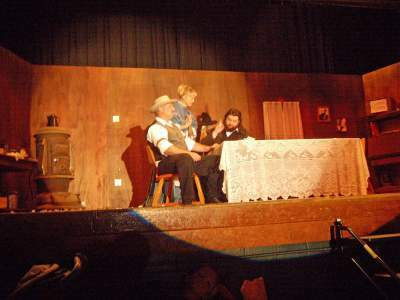 The Cast and Staff of "A Schemer Comes to Beemer"